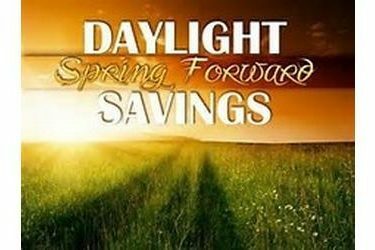 Daylight Saving Time begins March 11, 2018, and as communities prepare to “spring forward” one hour, the Office of the Kansas State Fire Marshal (OSFM) urges residents to practice fire safety by testing their smoke alarms and changing the batteries. Alkaline batteries should be replaced at least once a year, and a good rule of thumb is to change the batteries when you change your clocks. Kansas Fire Marshal Doug Jorgensen stresses the importance of replacing outdated smoke alarms with newer models featuring 10-year sealed lithium batteries. The manufacturer date can be found on the back of the smoke alarm. The OSFM, through its “Get Alarmed, Kansas,” program, is working with fire departments across the state to deliver and install free smoke alarms, which also include Carbon Monoxide detection. For more information on “Get Alarmed, Kansas,” visit, www.firemarshal.ks.gov. • Install smoke alarms in every bedroom, outside each sleeping area and on every level of your home, including in the basement. • If the alarm chirps, warning that the battery is low, replace the entire smoke alarm right away. • For smoke alarms without the long-life lithium batteries, be sure to replace batteries at least once a year. If that alarm chirps, replace only the battery. Date each unit when they are installed and replace them after ten years – or sooner if they do not successfully pass the test by sounding the alarm when the test button is pressed. • Plan and practice two escape routes out of every room in your house. • Designate an outside meeting place. • In case of fire, call 9-1-1 once you are safely outside your home. • Once outside, stay outside and don’t return for anything – not even a pet.